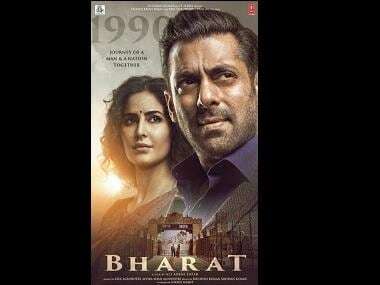 Lahore: As Bollywood films continue to provide a lease of life to cinema owners and the entertainment-starved people of Pakistan, some domestic producers have stepped up efforts to impose restrictions on their import. Sixteen Bollywood movies were widely screened in Pakistan last year, marking a high after a four-decade ban on Indian films. Dhoom 3 starring Aamir Khan has done roaring business and is still pulling people in droves to cinemas across the country. "It is because of Indian movies that new cinemas are being built in Lahore," Ramzan Shiekh, the owner of two state-of-the-art theatres, told PTI. "I am going to build another one in the city. Both my existing halls were booked for four daily shows of 'Dhoom 3' and still people kept coming to watch the movie." The box office receipts for "Dhoom 3" from 56 screens on its opening day was around Rs 20 million, almost double the record set by the Pakistani film Waar with grosses of Rs 11.4 million. Ram-Leela, Aashiqui 2 and Chennai Express too did good business at the Pakistani box-office. However, critics of Indian movies have opposed their exhibition and moved courts for a ban. Film producer Syed Noor, who has for long campaigned against Bollywood products, claimed: "Some people with vested interests don't want our industry to flourish. In the presence of multi-billion budget Indian flicks, ours can't compete. Noor said a Memorandum of Understanding signed between Pakistani producers and exhibitors promises "50 per cent adjustment", meaning theatres have to screen a fixed quota of Pakistani films.